Here’s a current automotive manufacturer challenge: a vehicle transmission that is lighter weight, small in size and still meets high strength requirements. Steel material doesn’t save weight in a vehicle. Aluminum material would need to double in size to meet strength requirements. And that’s where GKN Powder Metallurgy’s Aluminum Metal Matrix Composite (MMC) material stepped in. The Aluminum MMC material is lighter in weight, a one-to-one substitute in size to steel, and holds a high strength. Did you see our blog that introduces Aluminum MMC material? Read the full article here. GKN Powder Metallurgy’s Planetary Reaction Carrier recently won the Grand Prize award in the Automotive Transmission category from the Metal Powder Industry Federation (MPIF). The carrier features the Aluminum MMC material and is the first series production carrier to use this technology. 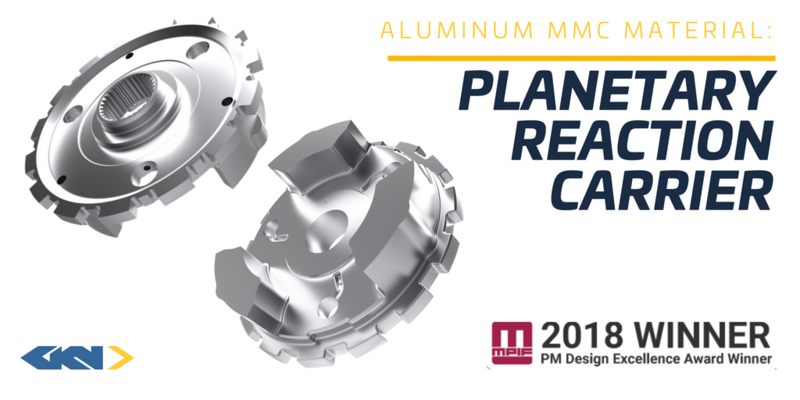 We sat down with Alan Taylor, Director Lightweight Technology, and Rich Hexemer, Principal Engineer for New Materials and Processes, to find out why the Aluminum MMC material set this Planetary Reaction Carrier as an award-winning piece. What was the application for the Planetary Reaction Carrier, and what were the customer’s requirements? Taylor: This carrier was for General Motors' (GM) Global Front Wheel Drive 9-speed automatic transmission. GM’s main requirement for the product was weight savings and lower inertia. Our Aluminum MMC material allowed significant weight savings due to its high specific strength. Hexemer: The challenge was that we needed to reach a higher yield strength and fatigue limit at an elevated temperature. Standard aluminum materials were unable to reach these levels, and we felt our Aluminum MMCs would be the best option for this application. GM tested the Aluminum MMC material to these requirements and it passed. How important of a role did the Aluminum MMC material play in the carrier’s creation? Taylor: There are virtually no drawbacks with using the Aluminum MMC material against a traditional material. The material exceeded the strength of any die cast alternative, and this was a necessity for GM. Hexemer: This is the third series production use of our Aluminum MMC material, and it shows that Aluminum MMCs can replace heavier steel assemblies. In general, these lighter weight parts create more efficient solutions. By using Aluminum MMCs over steel, we reduced the component weight by approximately 50 percent, enabling improvements in the transmission’s overall efficiency and performance. What does GKN Powder Metallurgy offer that a competitor doesn’t when it comes to this technology? Taylor: It all comes down to collaboration; we couldn’t do this without our customers. Our customers must have the confidence in our ability to create new technology to solve complex problems. 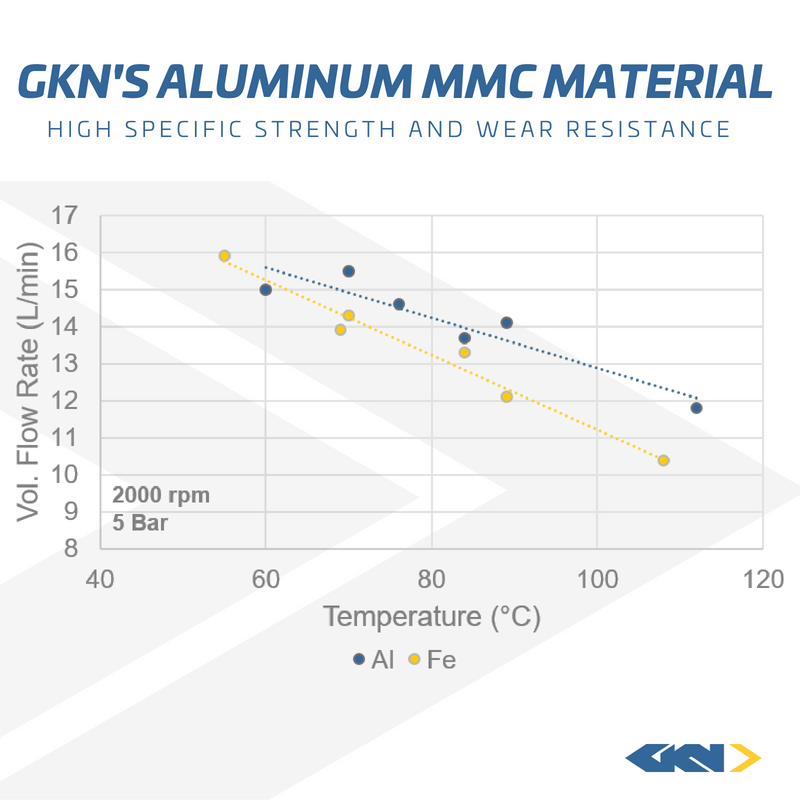 We were the only supplier that offered the Aluminum MMC material, and GKN and GM performed the necessary tests to make sure the material could withstand what a traditional material couldn’t. There isn’t another technology out on the market like this. Where else can the Aluminum MMC material help an application in the market? Taylor: This material has unique characteristics like wear resistance and improved strength, and this could be used in non-automotive applications as well. To extend the material’s reach, forging of the MMCs can also increase its mechanical properties. Our next target for this MMC material is in oil pumps where we show an efficiency improvement by matching coefficient of thermal expansion (CTE) of aluminum housings. The other big opportunity is to forge the MMC material and further increase the mechanical properties. We see a gain of more than 20 percent versus traditional forged aluminum materials. These materials, together with intelligent design, offer opportunities in reciprocating engine components. What does the MPIF Grand Prize Award say about GKN Powder Metallurgy’s technology? Taylor: GKN Powder Metallurgy is a market leader in the powder metal industry, and we continue to advance our technology to fit the market’s needs. Our Aluminum MMCs are just another great showcase of that. Hexemer: The industry and other customers are starting to realize that there are other solutions rather than steel and iron for their components. Once the industry is fully knowledgeable on our capabilities here, I see this expanding into more. The award win is a great recognition to start with. We are working on expanding our aluminum and Aluminum MMC capabilities into Additive Manufacturing to give us more flexibility in a component’s geometries, properties and performance, while also allowing for easier prototyping at the early stages of component development and low volume production runs. 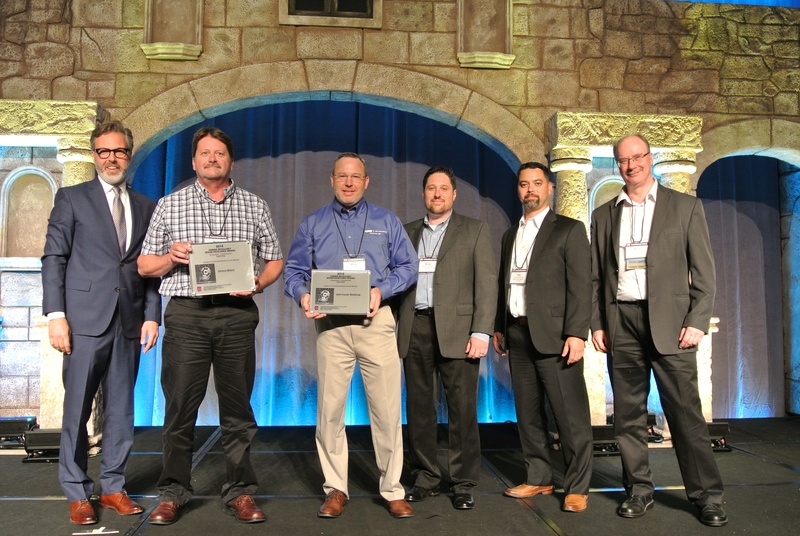 Part of the GKN Powder Metallurgy team responsible for the Planetary Reaction Carrier joined GM Design Release Engineer Mark Diab on stage to accept the Design Excellence Grand Prize.